Home » creative » Free » GSC Movies » instagram » movie » photo » Samsung » Samsung GALAXY Note » smartphone » GSC The Foreigner Snap & Win Contest: Samsung Galaxy Note 8 & 1 Year GSC Movie tickets to be won! 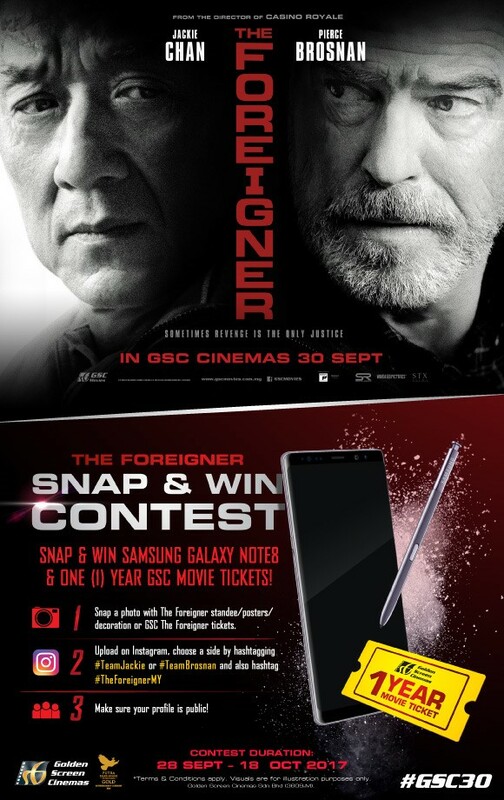 GSC The Foreigner Snap & Win Contest: Samsung Galaxy Note 8 & 1 Year GSC Movie tickets to be won! Snap a creative photo with The Foreigner standee/ posters/ decoration or GSC The Foreigner tickets. Make sure your Instagram profile is public! Visit GSC The Foreigner Snap & Win Contest for more details. DON'T MISS OUT: Pay RM85.50 for a RM100 petrol!